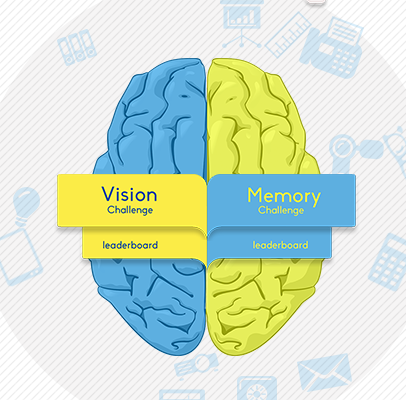 Description Put your visual acuity and memory muscle to the test in this label based, brain training challenge. Controls Visual Challenge: Find the objects displayed on the laptop amongst the clutter on the desk. Memory Challenge: Remember and repeat the sequences of highlighted items.